Pomegranate is one of the oldest known fruits and is native to Persia. It has been symbolic of eternal life, fertility and good health. This article aims towards pointing out the different health benefits hidden in this fruit. Cancer Defense: Studies have revealed that women suffering from breast cancer can drink pomegranate juice every day to destroy the cancer cells. The juice leaves the healthy cells unharmed. Males undergoing prostate cancer treatment can prevent hormone therapy or chemotherapy by drinking 8 ounces of this fruit juice every day. The juice stabilizes the PSA levels for prostate cancer patients. Free Radicals: Free radicals are produced in our body through the process of oxidation and also by the effects of harmful rays of sun. Free radicals are known to damage cells leading to premature aging. These free radicals can also cause heart diseases, stroke, ulcers, cataracts, osteoporosis, diabetes mellitus, rheumatoid arthritis, Behcet’s disease and several other medical conditions. Pomegranate is rich in antioxidants that kills both reactive oxygen radicals and oxy radicals and hence, prevents a number of diseases while improving the overall immune system of the body. Bad Cholesterol: Bad cholesterol or Low Density Lipoprotein (LDL) when oxidized within the body can lead to a medical condition called atherosclerosis. This is nothing but hardening of arteries. The antioxidants of pomegranate prevents the oxidation of LDL. The fruit contains several insoluble and soluble dietary fibers. These fibers help to improve bowel movements and strengthens the digestive system. Deadly blood clots are prevented by daily consumption of the fruit because it prevents the sticking of blood platelets. 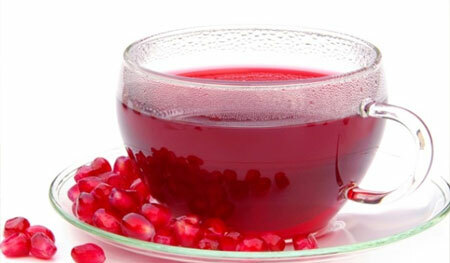 Pomegranate is rich in several minerals like manganese, potassium, copper and calcium. These minerals are essential for the healthy functioning of our body. 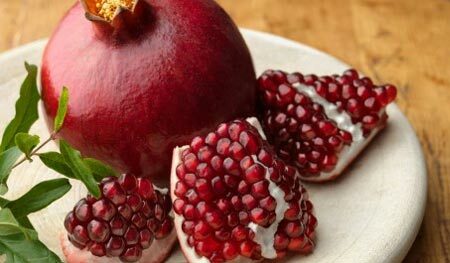 Organic pomegranate are also very helpful for men suffering with erectile dysfunction. Not only does pomegranate prevents heart problems but it also speeds up the meltdown process of any existing heart or arterial blockages (atherosclerosis). Daily consumption of the fruits is good but it may interfere with several medications. If you are already on some medicines, talk to your doctor before making it a part of your daily diet.